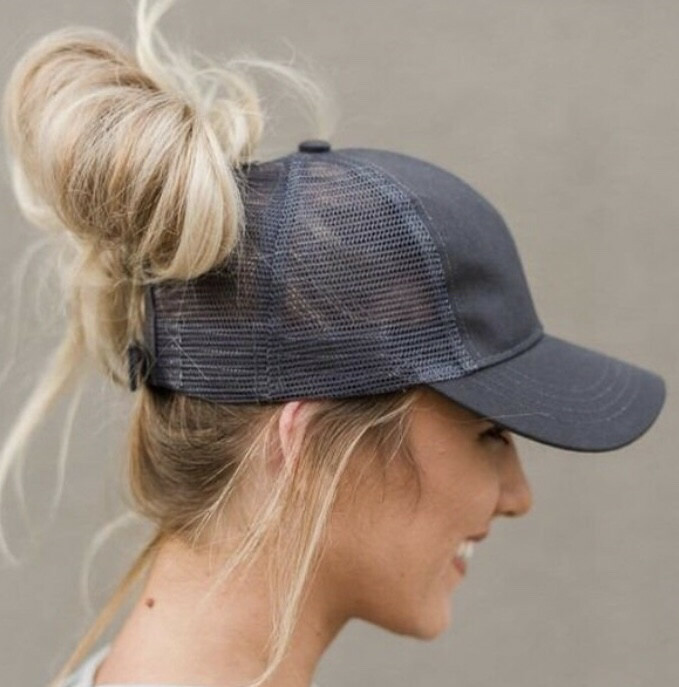 THE INFAMOUS MESSY BUN / HIGH PONY HAT IS FINALLY HERE!!! Sold colours for that basic everyday hat, fits amazing!! Super cute fitting hats, velcro back to adjust.